The Basil Miles Daypack is a stylish choice of bike bag for men and women. This handy design is not merely a bike bag, but doubles up as a shoulder bag and backpack for when you’re moving on foot. The Basil Miles Daypack is a versatile choice for any bike user. The bag is not only stylish, but is incredibly functional thanks to its multiple wearing options. 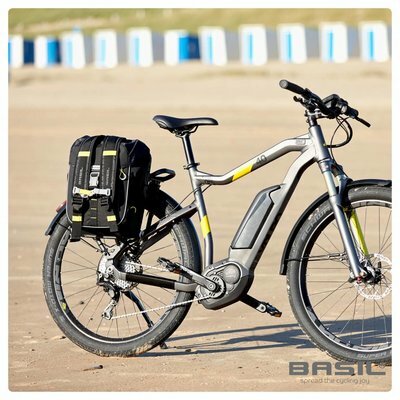 Not only can it be attached to your bike for convenient storage while in transit, you can adjust it to wear as a backpack or shoulder bag after you’ve locked up your bike and moved on by foot. If you’re a fervent cyclist who needs an all round solution, this is definitely the design for you. A generous capacity of 17 litres makes it ideal for those who need to cart around a great deal of items, with plenty of room for things like lunches, laptops, phones and more. 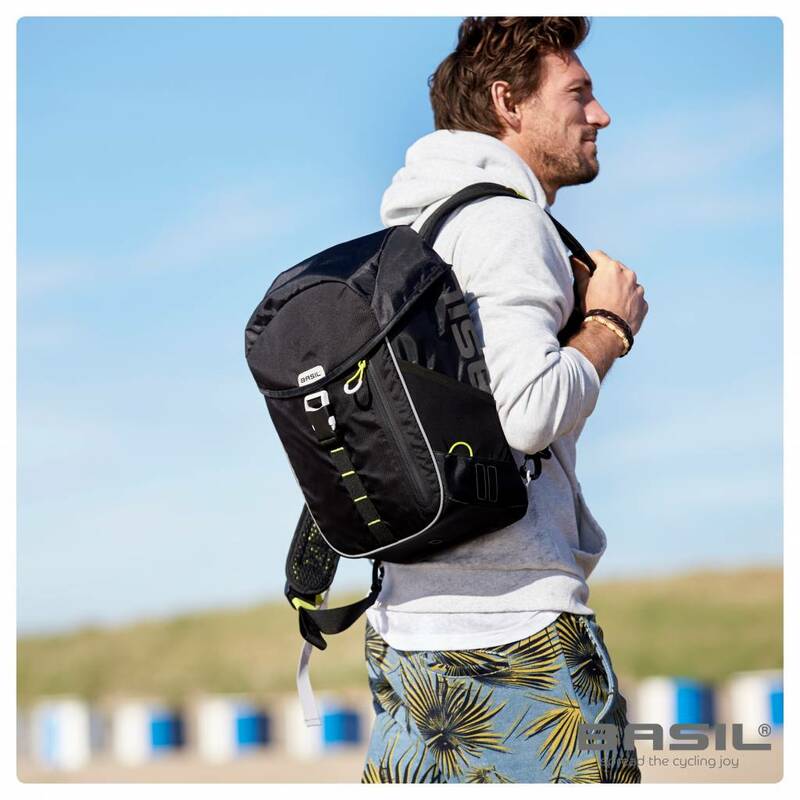 This sporty design is also made from waterproof polyester, with a hard-wearing inner liner that keeps your contents well protected and ensures you can carry about items weighing a greater amount. Easily fastened in moments, this bike bag also comes with reflective accents to enhance visibility in darker conditions. This bag easily attaches to your luggage carrier via a convenient hook-on system, with it being simple to remove once you’ve parked up so you can switch to wearing it as a backpack and shoulder bag, with straightforward adjustments for maximum comfort. 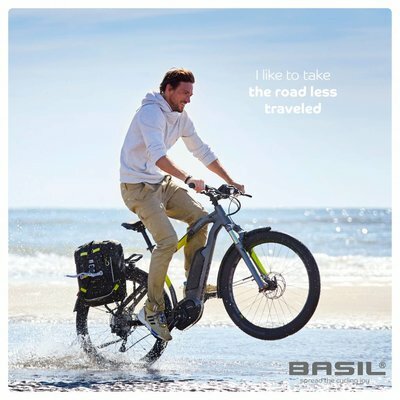 Curious about more designs from Basil? Browse our complete range of bicycle bags and accessories online today.